Take advantage of one of the biggest tyre offers in Europe! If you are a professional in the tyre business looking to buy tyres on a regular basis, we invite you to take advantage of our competitive wholesale offer for car, motorcycle and truck tyres. 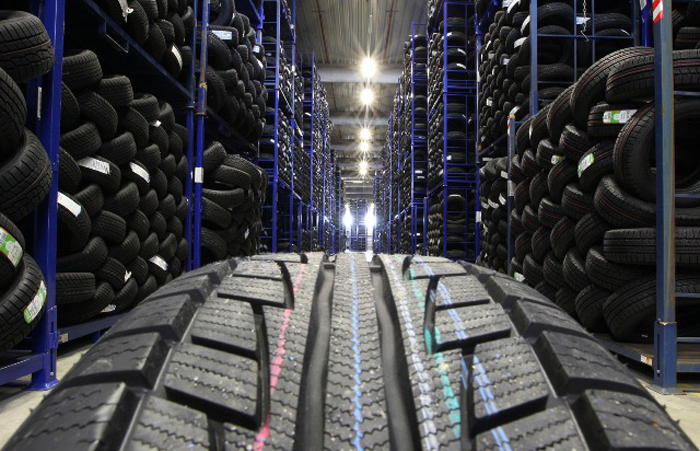 Millions of tyres available in real time for immediate shipment, including rare and high-end product. This is made possible thanks to a great supplier base in all of Europe. No minimum order. You can order even one tyre at a time to the dealer price. All-in prices for easy comparisons. Delivery costs are already included in the tyre price. Special low prices for all orders of at least 40 items per order. Pricelist based wholesale offers. In addition to all premium and economy brands, we specialise on the budget brands Goodride, Nankang, Tristar and some others. Availability is the key: in most cases, tyres of Asian production are really available to great prices today. The brand of Viking (made by Continental in Europe) is distributed exclusively by us at Delticom in many EU-countries. Please inquire if interested. Top conditions for tyres of our main warehouse that include many top sellers. You can collect from our warehouse near Hannover, Germany or allow us to deliver to you. Specials that normally don't appear on our internet shops. These include old or discontinued tyres and warehouse sell-outs to extremely low prices. Do we already know each other? If you are a business customer at our dealer internet shop tyres123.ie, please send us an email that includes your customer ID to learn our special conditions for wholesale orders. If you are our e-commerce supplier, then you should tell us your top brands of interest for us to quote wholesale prices. Chances are there are tyres out there that we could offer you to great conditions. If you are a tyre dealer from a country outside of Europe or without our internet presence, we are ready to quote dealer prices by air, sea or land freight with no minimum order. For a start, please write a short email to Wholesale.trade@delti.com with your inquiry containing the description of tyres of interest and your company and contact details. We will get back to you with our offer within 48 hours. How to receive our wholesale offers? Once we know your needs, our wholesale offer will be duly adjusted. We suggest that data should be transferred automatically. That way, you will be offered only tyres that are ready for immediate shipment. Our company Delticom AG has grown rapidly since its inception more than 15 years ago to become one of the biggest European tyre dealers in general and the biggest tyre dealer on the internet in particular. The company is listed on the Frankfurt Stock Exchange in the S-Dax segment. Its turnover 2015 totalled some 500 billion EUR. For more information on the company please visit www.delti.com.